A month of learning about genealogy: 5 tips from a beginner! Digital is essential for me: I live a few hundred miles away from my immediate and distant ancestors’ homeland so access to “local resources” such as libraries and parish records is unavailable to me. Digital research suits me too with an Apple Mac and iPad Pro syncing seamlessly with each other as I browse, write and store my work. I’m all too aware however of errors that can easily occur because they’re “just a click away” but there is also an occasional feeling of isolation one gets without walking into a friendly relevant library, a chapel, or a connected family/history society. Essential tools: Here’s the list; Ancestry, Family Tree Maker, British Newspaper Archive, CFHS, Pocket, Notability, Dropbox, each playing a particular role in my overall strategy. I began in choosing Ancestry.com as my main online research tool, it’s widely used with a regularly updated database. Next I chose Family Tree Maker from MacKiev.com to sync smoothly with Ancestry whilst being a desktop tool for my Mac. This gives me something to use when I have no internet connection, am travelling, plus the extra security of everything being stored and accessible on my laptop. British Newspaper Archive is exactly what it says and provides massive research opportunities to events local and timelined to my ancestors. 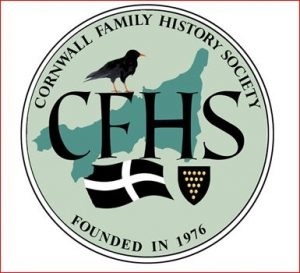 The Cornwall Family History Society is a no-brainer because 90% of my ancestors are from that county. That covers the sources via online tools, but organisation and storage is essential so I have three app tools syncing across my devices and via the internet. First is Pocket, an app to drop web pages and articles into for later reading. I love this app, for example recently I googled and skim read a lot of web articles on Iron Ore Mining in Cumbria, selected 4 that needed deeper reading and saved them all into Pocket for later. Next is Notability, my app of choice for writing and note taking. Everything you write is stored as an editable pdf document into folders within sections, stored online as well as on your devices with the app. So for example I have a section for writing blog articles, one for ancestor notes to pin into Ancestry and Family Tree Maker, one for a monthly research plan, one for hints, reminders, ideas. I realise that some people will just use Word on Windows laptops or Pages on Macs, but you still have to create a folder structure on your devices then use a backup tool and syncing tool. If you want something free for Windows or Mac try Microsoft One Note, its a multifunctional note taker with a nice visual interface but it doesn’t suit the way I want to work. Lastly everything I create, write, save on my laptop is backed up to Dropbox which I use as my master folder on the Mac, identical to My Documents on a Windows device. Syncing is automatic with Dropbox too. Don’t automatically trust hints from other family trees: I guess this is obvious but I admit it was very tempting a month ago when I began my ancestor search. How easy it was to find other people and their trees overlapping with mine, a simple click and whoosh …. I’d gone back another 4 generations. Not! I soon learned to my cost with duplicates, inaccuracies and brothers seemingly marrying sisters, though I still have one of these that looks juicily interesting! Anyway, verification verification verification is the mantra we all need, but I’m still learning how to do this with only online burrowing into census, birth, deaths and marriage databases. I seem to have so many interwoven ancestors with the same forename as well as surname ….. William and Mary being names of choice across a couple of centuries …. I wonder why? Events, contexts, history is my thing: In the first few weeks of my ancestry search there was “great depth to my superficiality”! I was skimming too much without any thought into the contexts surrounding my ancestors lives. It all changed when I stopped to think about the life of my maternal grandfather who migrated as an 8 year old boy to Cumbria from Cornwall with his mother and father. His father, my great grandfather, was a Cornish tin miner who became a Cumbrian iron ore miner! So, it was the collapse economically of tin mining, the discovery of the richest iron ore vein in Cumbria and its protection from the Irish Sea that led to 4 generations, great grandfather, grandfather, dad, and myself all working in the Iron and Steel Industry across a whole century. So much to research and understand here, the technical and economic issues of iron ore mining and iron making, life as a miner, foundryman and analytical chemist in that industry, and finally its demise and ultimate collapse with family consequences. Creating and adding context notes to the family tree and blogging about them becomes the REAL focus of my strategy. Feedback is the breakfast of champions: A truism if ever there was one, and I have been positively amazed at the supportive engagement received from professional genealogists and amateur family tree researchers via my blog. Their feedback has helped me to have a more focused strategy, to get better organised and to choose a range of research tools that compliment each other. Thanks to every new follower and commenter on the few short blog posts I have made so far. This is the most positive and engaged community yet across my 10 years of blogging! Star helper so far …. Jo Mayne Casey who has two blogs … do visit her! I hope my humble list helps a few others just as I’ve been helped, and I unreservedly welcome MORE advice, tips, suggestions and comments to this post …… I still have lots to learn …. 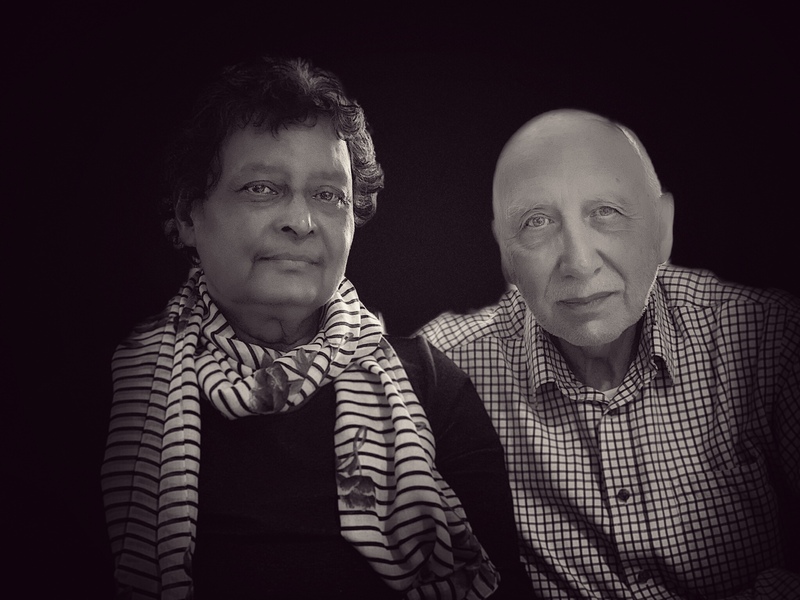 Posted on February 13, 2019 March 4, 2019 by Dr BPosted in Ancestry, GenealogyTagged ancestors, Ancestry, ancestryadvice, ancestryblog, ancestrylearning, ancestrytips, bloggercommunity, bloggerlife, englishculture, englishheritage, ethnic, familyhistory, familytree, Genealogy, genealogyblog, genealogystrategy, genealogystructure, historic, History, lovehistory, mindful, mindfulblog, myengland, Philosophy, positiveblog, roots, thisisengland, visitbritain, visitengland. Previous Previous post: #52Ancestors: Do all Americans “love” Cornish pasties too? Next Next post: Three “cast iron” events that defined my immediate ancestors lives … and mine! Couldn’t agree with your third point more. Never trust other trees on Ancestry, always verify everything yourself. Thank you, a good point, we can all make mistakes. But when evidence arises that corrects our mistakes gets ignored ….. it’s like a spreading virus! Having persisted at this game over a quarter of a century (and how it has changed over that time), the tip about not relying on other people’s trees is essential – use for guidance only and don’t believe anything without evidence, and then check it’s the right evidence and the right person. Some people get very upset when you (as gently as possible) suggest they have an entirely wrong branch in their tree. Also, I use FindMyPast as well as Ancestry. Ancestry is my main tool, but FMP gives access to British Newspaper Archive, nearly up to date electoral registers, and also has a lot of Parish Register scans and other records that are not on ancestry. So I sub to both. It can be a costly interest. Thank you for your mot helpful and reassuring comment. I fell into the trap of too many hints being accepted and am now paying the price, but I’m learning. I rely on Ancestry at present but am now considering others to add if I can work out the extra benefits! Thanks for following me, I look forward to your posts too. A further thought: if you have access to university electronic resources, it comes with a lot of benefits. Sadly, I’ve lost mine since retiring, but I made sure to get as much as I could out of The Times and The Guardian while I had the chance. The Cengage resources tend to be limited elsewhere – e.g. other newspaper archives do not seem to include the C19 periodicals, only the newspapers. I even found a lot of relevant stuff in The Times of India. It’s hard to see these things without a university account. Searching PDF transcripts is quite an art form, and can take up a lot of time. Equally as frustrating is when you can see the mistake in a shared family tree, but you can also see where the tree’s owner saved a document that provides the correction the person needs! I shared records from a court case I dug up after months of research…those records included a signed legal statement attesting to the correct father of my ggg-grandfather. And yet people still connect him to the wrong father. I tend to ignore shared family trees for reasons like that. That sounds familiar! I discovered a fairly recent ancestor had been given the wrong mother in a shared family tree; the biological mother had died when her son was 2 years old and it is quite probable that the son himself had assumed his step mother was his real mother. I shared a copy of the son’s birth certificate and the mother’s death certificate but copies of the shared family tree still circulate with the wrong mother. Frustrating yes, but I take comfort in my tree being correct! I’m currently in the middle of my worst example caused by one of my nieces whose tree had a few things about my grandmother I trustingly copied. Two generations beyond her I started getting into problems I just couldn’t solve until I went back to my grandmother and changed her maiden name …. to the correct one! Found this link from your post in FutureLearn; most interesting too. I use similar software/apps – FTM (Mac version), Ancestry (although I stopped my premium subscription when it wasn’t as ‘premium’ as I had been led to believe and was going to cost me even more to use the site! ), Dropbox and Family History Society (Cheshire in my case). I concur with your comments on researching local and contemporary history relating to your ancestors. I once had a commission to research a person’s genealogy and I ‘embelished’ it with historical events relating to her relatives. I found it so interesting (fortunately, so did the client) that I started doing the same with my own family tree and will continue to do so. Good luck with the FutureLearn course. Some great tips – I’ll have to check out a few of the apps you mentioned. Thanks! That’s a lot of learning in one month! Long may it continue… learning is what makes life interesting. Do you know about the FutureLearn course? I did it a couple of years ago and got a lot out of it even though I’d been doing my own genealogy research for quite a while by then. Thank you! FutureLearn course … a link to it? Thank-you, kind sir. We started at the same time on parallel paths and I enjoy our comraderie. I organize differently than you, but I may incorporate some of your tips with my style. Thanks again! Good advice. Effective genealogy requires good detective skills. Evidence, evidence, evidence! I think you are right to give more weight to history and context, a lot of family tree researches seem to ignore this. Are you starting again? Or maybe a separate blog or menu item or link on your current blog? I already have 3 Brian so don’t think I can cope with another!